Quintana Roo since 2015 it does not use daylight saving time. Baja California, same time zone as the USA Pacific Zone. 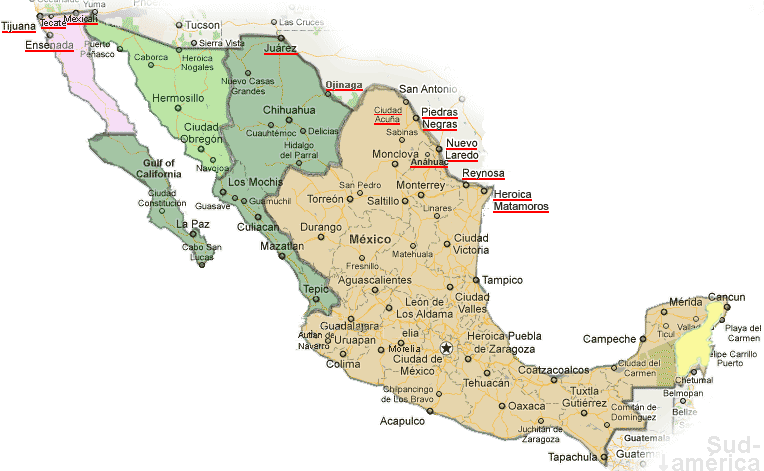 Nota: The cities of Mexico bordering U.S. highlighted in red on the map and Baja California (in pink), share the time zone and daylight saving time with the United States. Daylight Saving Time Does no use DST throughout the year Standard / Winter time +inf. it will be 1:00 -1h.